Synopsis: The boundary between the world of humans and monsters has collapsed! 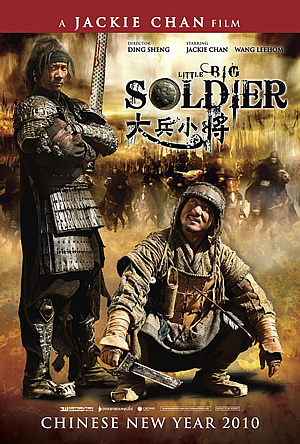 The legendary demon hunter (Jackie Chan) defends humanity from an inhuman invasion with a motley group of friendly monsters. When the barrier holding back the kingdom of monsters is opened and village girls start getting kidnapped, our hero encounters another demon hunter who is not fully human! 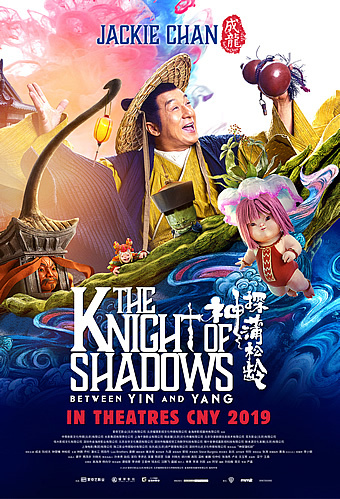 This epic movie features exciting action, wild comedy, eternal love and revelations of a world beyond..
As excited as you may be for a Jackie Chan action comedy during the Lunar New Year season, you should know that ‘The Knight of Shadows: Between Yin and Yang’ isn’t like them old-school ones – after all, there is little, if at all, of the sort of acrobatic fighting which Jackie is typically associated with, with much of the action consisting of plainly obvious wire-work enhanced by copious amounts of CGI. That’s not to say it isn’t entertaining though; on the contrary, Jackie is at his funniest here that he’s been in recent years, demonstrating that while his versatility may have diminished with age, his comic timing remains as sharp as ever. 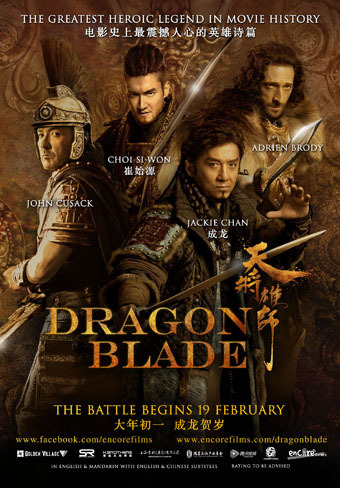 For the same reason, the first half of the movie – which is built around Jackie’s quirky demon hunter Pu Songling – is relatively more engaging. Dispatched by the King of Demons upon the fall of the barrier separating humans and demons, Pu spends his days tracking down those which have escaped, keeping the good ones by his side while capturing the evil ones within his book of scriptures to be burnt at the Gate of the Abyss. 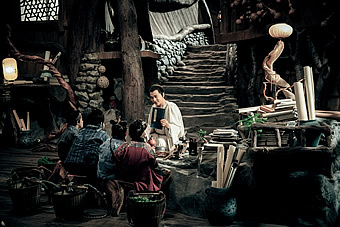 Pu is aided on his missions by three loyal assistants – a tree-like demon appropriately named Handsy for its extendable branches; a short, green and plump demon dressed in a Chinese vampire suit and suitably named Gassy after its poisonous farts; and last but not least, a female child-like demon named Breezy with the ability to revive or remove one’s memories. A series of thefts by the pig demon Hobgoblin leads Pu to cross paths with enthusiastic junior police official Yan Fei (Austin Lin), which not only earns Pu an additional demon assistant but also a human disciple. Both master and disciple then team up to investigate the disappearance of a number of teenage girls from the county, the latest being the county chief’s very own daughter. 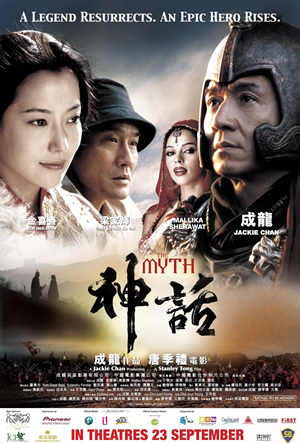 These disappearances are the work of a cunning mirror demoness (Lin Peng), who is working in cahoots with the seductive snake demon Nie Xiaoqian (Elaine Zhong). 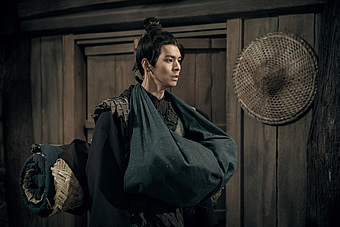 Both are also being pursued by a mysterious warrior Yan Chixia (Ethan Juan), who is bent on retrieving Xiaoqian’s Spirit Orb for reasons that will only become clearer much later on. 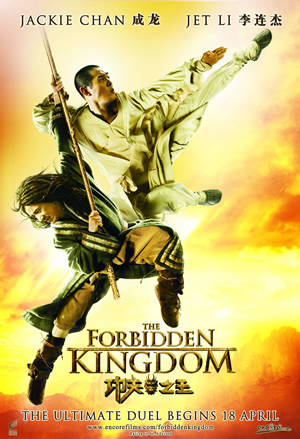 Without giving too much away, let’s just say that Chixia and Xiaoqian’s tragic love story becomes the focus of the latter half of the movie, with the former desperately trying to convince the latter to give up her Spirit Orb, while pleading with Pu not to condemn her to death within his scripture book. What had started out as a comedy morphs into a supernatural romance (think ‘Painted Skin’) that all but renders anyone other than the pair of star-crossed lovers inconsequential. Die-hard romantics may lap up the melodrama, but for most, we suspect that you’ll probably be more enamoured by the earlier scenes of Pu’s earlier tutelage of Fei as well as their sleuthing. To their credit, both Ethan Juan and Elaine Zhong try their heartfelt best to make their love story endearing, but they are no match for Jackie Chan’s infectiously goofy charm. 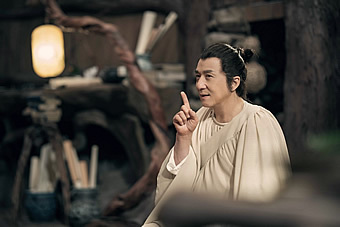 As Pu, Jackie single-handedly owns the movie’s most delightful moments, such as when he draws two circles around Fei’s eyes in order to open the latter’s Heavenly Eyes to see demons, or when he realises to his horror that Fei had slaughtered and cooked his beloved pet chickens for breakfast. And in what is easily the film’s most hilariously inventive sequence, Jackie finds the top half of his body trapped in a mirror and his other half running helter skelter in a room full of brass mirrors while pursuing the aforementioned mirror demon. Like we said at the start, age may have taken a toll on his physicality, but his comic energy is just as radiant. You’d miss Jackie’s playfulness even more during the CG overload that concludes the movie. 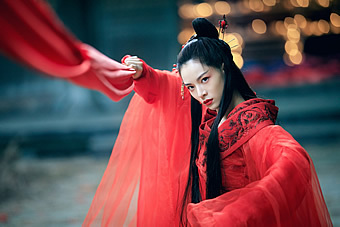 Swapping intimacy for sheer spectacle, the action expands to gargantuan proportions in two extended fantasy battle scenes, what with Xiaoqian assuming the form of a giant red snake to exact vengeance upon Pu, and Chixia storming the netherworld subsequently to rescue Xiaoqian. It’s not so much that the visual effects could do with a lot more polishing, than the fact that the movie becomes so obsessed with its deluge of unbridled destruction that it almost forgets its characters. The excess is unnecessary all right, not least because the movie could simply have relied on Jackie to deliver a crowd-pleasing finish. Even so, we must admit that we were pleasantly surprised by how fun his latest turned out to be. 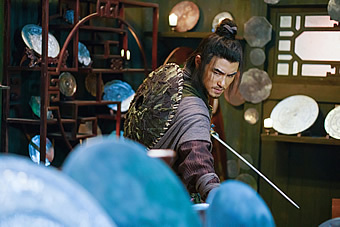 We had feared it to be a feeble attempt to replicate the success of the ‘Monster Hunt’ films, which also combined live-action and animation to tell a story involving demons and demon hunters. But thankfully, that is also where the similarities end, with what follows a delightfully engaging fantasy which packs comedy, romance and wire-ful action. 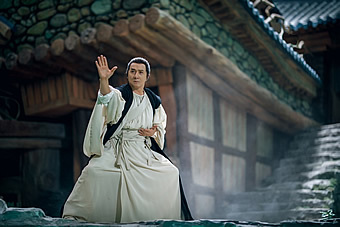 Indeed, the comedy outshines the rest of them, brought to vivacious life by none other than Jackie Chan himself. So never mind that he hardly gets to show off his moves, Jackie is just as entertaining goofing around while playing master and detective. If it’s cheer you’re looking for this Lunar New Year, you’ll find plenty of that and more here.